MOTOWN LEGENDS & ICONS FOR OVER 50 YEARS! 70 MILLION ALBUMS SOLD! 7 #1 HITS! LOS ANGELES, CA, USA, April 5, 2019 /EINPresswire.com/ -- One of the greatest Motown and R&B / funk artists of all time, The Commodores' Walter “Clyde” Orange, James Dean “JD” Nicholas and William “WAK” King have influenced both artists young and old and in all genres with their classic songs. The Commodores brand is bigger than ever as they continue to blaze trails all over the world. Two Alabama cities recently honored the music legacy of the Commodores! Tuskegee declared Friday March 29, 2019 to be Commodores Day, and Montgomery declared the band members to be honorary residents, receiving keys to the city! 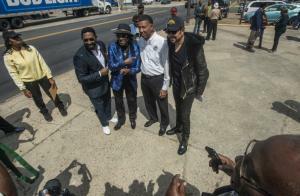 A celebration was held at the Commodore Museum, the site of the Commodores' former rehearsal and recording studio in Tuskegee. 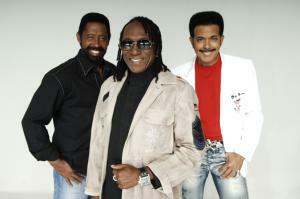 The Commodores was originally formed by a group of college students at Tuskegee Institute just over 50 years ago. In 1968 the group was formed while all the members were in college at Tuskeegee Institute. After being discovered by Berry Gordy, the Commodores went on to sell over 60 million records for Motown. With hits like “Machine Gun” and “Sail On,” the Commodores became proven artists. For five decades, the Commodores have remained a force in the music industry. The Commodores aren't just any group. They have staying power. Just like their hit song “Brick House,” the Commodores have created a foundation that just won't budge. Don't miss your chance to feature one of the most successful vocal groups of all time in 2018 and beyond as The Commodores continue to thrill audiences with their Greatest Hits Tour – Live!